Don't stick your fingers in your nose. Stick your pencils in there! 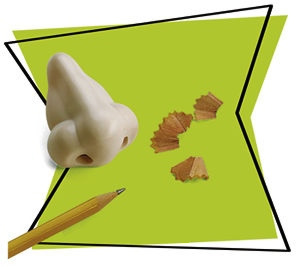 This human nose pencil sharpener is a great way to get a laugh.